Today I went with young son, my friend @belle_lulu and her daughters from the UK to Rosenborg Castle. Rosenborg is the little baby castle the Danish King Christian the 4th built for himself in the heart of Copenhagen and which is at the centre of Rose Tremain’s fantastic bestseller Music & Silence. I cannot recall ever having met such sour, dull, impolite and in some cases rude staff at any museum, castle or estate EVER. And it was ALL of them. Some of them even spoke very poor English. And this is not Romania, it’s Denmark, where everybody under 70 is supposed to speak excellent English! Furthermore, it’s a good while since I’ve been at a museum with such poor service towards its many international visitors. The measly few signs explaining what you’re seeing are in DANISH. If you want to understand bits of it you have to buy the guide book, which isn’t even that good. And if you want to take photographs you need to purchase a photo license!!!! (at 20 DKR, but why?). It’s a lovely, lovely castle, with a terrific collection of gorgeous antiques. Really fantastic stuff, soaked in history. But you’re left with a feeling of embarrassment on behalf of the Danish state. I kept wanting to pass it over to the National Trust to ensure engaged, knowledgeable and friendly staff. Go sort yourself Rosenborg. Get a new boss who can motivate her staff and bring some fresh air to the establishment. Yes, that’s me. While I love to learn and recently went to a real educational institution and got a real degree, Bachelor of Science, I’m also very lazy. So studying at uni is not my preferred way to acquire new knowledge. And as much as I love to read and also do read non-fiction every other time I pick up a book, my preferred way of acquiring new knowledge is by listening to podcasts. I know I’ve mentioned this a number of times before, but I have the feeling I’m not really getting through to you. Do you realise what FANTABULOUS stuff you can download and listen to FOR FREE out there? Yesterday, I got a letter from our television supplier TDC. It was a “special offer” of an extra television package at 148 DKR per month. That’s around 17£. For this exorbitant amount of money I would get – what exactly? 10 or so cr*p channels offering nothing but US television series reruns, again-again showings of action films, “talent” shows and of course heaps of reality shows. No BBC, nothing even remotely interesting to neither me nor junior. But right here on my computer I find hours, days, months if not years of free (and completely legal, I should say) entertainment. I can watch, read and listen. And learn. And that’s what I love most. I really wish I’d loved learning as much when I was younger. I could have become a polymath by now! 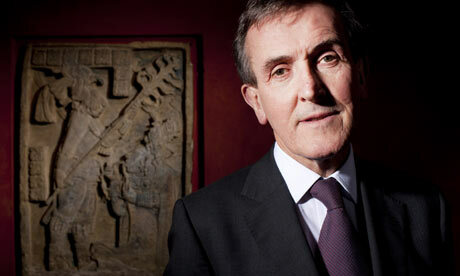 British Museum, Neil MacGregor. He must be one of the world’s most inspirational museum directors and he actually narrates most of this fantastic series himself. I love how his favourite expressions slowly emerge as you hear more and more of the programmes. If you start listening, wait for the first time he says “the business end of (…)”. It makes me giggle. Did you know that the first depiction of a couple making love dates back 11,000 years? (Take that, creationists). Well, I sure didn’t. Or that an intricate, glittering gold cape was dug out of the ground in North Wales in 1833? Or how much you can read out of the Egyptian Pharaoh Den’s sandal label? I also subscribe to podcasts about medicine, sociology, psychology and technology. My favourite technology programme is actually the Danish Harddisken, which is very versatile and reminds me more of the magazine Wired than of any other podcasts. And that’s a compliment. Wired is the only magazine I read after I’ve had to give up on Vanity Fair for two reasons. One, that I simply don’t seem to have time enough to read it, and two, that I’ve found it more and more about showbiz and less about political and cultural matters. My only, but serious, objection to Harddisken (as it is to Wired) is the lack of women involved in making and presenting the programme. I find it very, very hard to believe that there are really so few women out there with anything interesting or important to contribute. I tend to believe that it’s habit and laziness that bring (the same) men to the microphones again and again. If you have a phone that supports it you can also watch video podcasts or you can watch them on your computer. I don’t watch many video podcasts, but when I do it’s invariably from TED. The last one I’ve enjoyed was this one about mistaken beliefs – seeing patterns that aren’t there. With this image all is said about what was talked about in Great Britain in the first week of 2010. The Weather. Dane’s school closed, David working from home several days as South West train service severely disrupted and parking lot at work more than treacherous. Constantly, you have to listen to people rant about useless councils and government because all roads aren’t cleared within the first couple of hours of snow, not for a moment considering their own reaction if billions of pounds were spent on snowploughs and grit which would then be sitting idle in council parking lots 99% of the time. In the UK it isn’t really an argument that things work like a clockwork in snowy conditions in places where they have snow 6 months of the year. They have the tools in place and it makes financial sense to have them there. For any household, big or small, pros and cons must be weighed before investments are made. Living in Denmark it made sense for us to own a snow shovel (wide, light, made of birch wood), skis, several toboggans and sleighs and – not least – winter tires for the car. Over here it doesn’t really, at least not on our budget. Personally, I don’t mind the snow so much, but I do mind the cold. I’m freezing ALL the time, draught swooshing in through windows and under doors in our listed building. It drives me nuts, lowers my productivity and dampens my mood. I long long long for spring and summer! 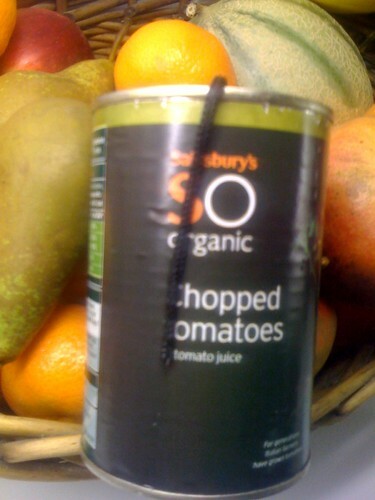 No, actually, what it was was a can of Sainsbury’s organic chopped tomatoes. But there was a worm in it. Or so I thought at first. 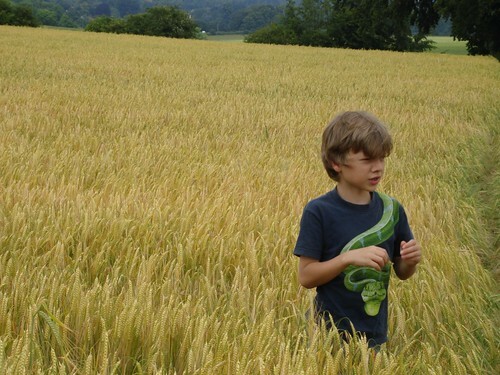 It turned out to be less, eh, organic, namely a shoelace. I was making plain tomato sauce for vegetarian lasagne and so had only a bit of olive oil and minced garlic in the pan before pouring in the tomatoes. Which is why I know with absolute certainty that that’s where it came from. Besides, we’re not much of a shoelace family. Husband prefers loafers & son prefers velcro. As for me, eh, flip flops & slippers? User’s Comments: Last night when making sauce for lasagne I used two cans of your otherwise nice So Organic chopped tomatoes. When stirring contents “black snake” appeared. Since there was only garlic in the pan prior to adding the cans of tomatoes, there really was no other source of this. A LENGTH OF SHOELACE. Thank you for your email regarding the shoelace that you found in the JS SO chopped tomatoes. I’m sorry that you had the displeasure of finding such an item in your product. On Monday 23rd I did as requested. Have receipt right here next to me. Enclosed my business card with all details – including Twitter ID – and the query number I’d been issued with. Recorded delivery ensures delivery on the next day before 1 pm. So can assume Sainsbury has received it? But of course, have not heard one word from them since then. Or, I have. Because I have of course tweeted about it. Both when I just found it with the above picture as Twitpic and later when I still didn’t hear anything. Other tweeters suggested I tweeted directly to @sainsburys, who clearly doesn’t follow their own brand name on Twitter. How amateurish is that??? So I tweeted directly to @sainsburys who then asked for my phone number in DM. They then had this hapless, clueless girl from customer services call me. Without checking my Twitter stream first and certainly without checking whether they had received my complaint and the can & content. As my husband would probably say: W*nkers! I felt so sorry for that girl who called to tell me to do what I’d already done, namely send in the can & lace via registered mail. She wasn’t authorised to do anything else. Here’s one week worth of Tweeting about shoelace in Sainsburys’ tomatoes. I do realise that you can’t actually read this, so try here (this link is to live search of Twitter for labeet + sainsburys). Sainsburys have access to this same tool, don’t they? I know that Sainsburys is a huge, huge business and that I’m only one tiny little person (relatively speaking). But I also know that customer services are becoming more and more important as “the little man’s” access to a wider audience becomes easier. Scanning 5-6 hours worth of tweets including the word Sainsburys takes about 5 minutes (I know, I just did it). Most tweets that aren’t just mentioning Sainsburys because they’re either going shopping or orienting themselves via the local Sainsburys are positive or musing over the fact that they are now being followed by @sainsburys. Maybe they should explain to people why they start following them? One tweeter amusingly writes: The whole of Sainsburys is fllowing me? That’s a bit scary if you stop too quickly! Quite a few of the tweets are recommendations of current in-store offers to others. @sainsburys could really profit from this if they tweeted back with related offers. What they seem to be doing is tweeting recipes and saying thank you to people for following them back. When queried directly, they assured me and @angpang and @EmmaJaneR that they were “listening”, but the above is all that happened? And since that tweet yesterday afternoon, @Sainsburys has sent out 5 tweets altogether, the last one 16 hours ago. I am clueless as to why a company that large with that amount of resources chooses to do anything as half-hearted as that. I understand that for many smaller businesses it’s impossible to have one single person responsible for these things, but as I’ve just shown, scanning half a day of tweets takes 5 minutes! I now have to go out, so won’t be here to take delivery of the huge hamper of guaranteed shoelace free cans of tomatoes and other goodies that MUST be on its way from Sainsburys. I hope the neighbours will. Ah well, just kidding. I’ll keep you posted and will tweet link to this post with annoyingly regular intervals in the meantime. And, Sainsburys, I promise you that I’ll just as eagerly tweet and post when you turn around and “do the right thing”. Until then: @Sainsburys #fail. On December 1st I wrote to Sainsbury’s again, asking if they had actually received the can and if they were going to do anything about it, ever? My instinct would be to brush off women who spend a lot of time and money on their looks as shallow. But through my life I’ve met some fantastic, inspiring, intelligent women who spend a great deal of time and money on appearances. So, once again, I’ve had to re-evaluate my own viewpoint. First, I have to be honest to myself about my own choices. I covet the shoes in this picture, but I know I’ll never buy them. They’re too expensive, the heels are too high for comfort (not least for my husband, who doesn’t like me to tower over him) and I don’t go out much, so how can I justify the purchase of such luxury? Also, I think the older I get the more I become a slave to comfort… I really don’t like walking around with blisters on my feet, so much make-up that I can’t scratch my nose or a dress that makes me permanently self-conscious. I own a few luxury items, purchased at a time when we were more affluent than we are now. And I admit that they are a source of constant and long-lasting joy. Whereas some of the stuff I’ve bought in desperation at M&S or H&M never give me that satisfaction. I buy and use very little make-up but what I buy is good quality. Clinique and Dr. Hauschka are my favourite products. I refuse to put on make-up to sit at my desk and work at home and for the school run or a trip to the supermarket. However, I’ll always put on make-up for coffee with a friend or when attending events at son’s school, etc. And I do enjoy adding a few extra layers for special events like tomorrows party. I also love perfumes and wear one every day, solely for my own enjoyment. My current favourite is Paul Smith Woman. When it comes to jewellery I’m a through and through bespoke girl. I own practically no custom jewellery and it has very little attraction to me. I used to own a ring by this jeweller – so, so fabulous (and left to me by my mother), but I left it by the sink in a restaurant toilet and it was gone when I realised! Now I own a pair of earrings by her – I wear them almost all the time and treasure that they are quite “discreet” but still very special. 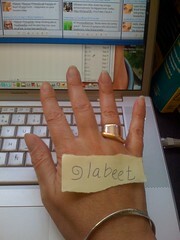 My husband has always bought me bespoke and special jewellery. This ring was the first one he bought me – before we were even married. I rather adore him for that! I can recommend checking the museum shops at modern art museums – have found very special and unique jewellery there at tolerable prices because they often choose to promote young up-and-coming jewellers. The ring is from such a shop (in Denmark). Funny thing is, however, that although I’m so NOT a fashion animal or sharp dresser myself, I have a great interest in others who are. I love to sit in a cafe, at Waterloo station or on the tube and watch people, how they’ve chosen their outfits, if things match or don’t match, whether this is a matter of negligence, carelessness or colour blindness. Or the interesting ones who’ve chosen not to match. I remember a black woman on the tube. She was about my own age, maybe even older. She was clearly not particularly well off, but I’m still picturing her hair and her outfit and so, so regretting that I couldn’t take her picture. So much effortless style! and think she has considerable style, I can’t think of anyone with a style and grace quite like Jackie! But close contenders were Grace Kelly and Princess Diana in her later years. Also, the very much alive ex-wife of Danish Prince Joakim, Countess Alexandra. I follow so many blogs and always lag behind in reading them all, so in spite of my interest in style (rather than fashion) I’m not following any style blogs other than this one, which I’ve plugged before. In this post she gives advice on what to wear when you’re in your 40s. If I could, I’d follow her advice. But that would require a rather substantial weight loss and that I get my career (ha!) going again, so I can make some money and have somewhere to go to show it all off. But oh, how I want that purple Mulberry bag! I now realise that almost everything on this page is purple. One would think it’s my favourite colour. It isn’t. My favourite colour is bright green, but 90% of my clothes are brown, grey, black or beige. Go figure. … as we are, we tried to do something meaningful with Dane over the holidays. Possibly the best bit was finally getting up in the London Eye, which we’ve been talking about and meaning to do ever since we came over here. It was David’s birthday, so we wanted to combine something enjoyable for him with something enjoyable for Dane. They have a pretty good queuing system for the London Eye – first you queue for less than 1/2 hour to get your tickets. Then it says on the tickets, when you have to report back to another queue. After that it’s only another 1/2 hour. For us it was perfect – there was just time for a nice lunch a bit further down the river. Here are a couple of pictures – luckily it was sunny, but with ominous clouds, which lend quite some drama to the pictures. Later on we wondered around London for a few hours. I wonder if I’m quite normal. The two shops in London, which I feel I soon know inside out are the Apple Store and Hamley’s. Shouldn’t it be Harrods and Selfridges? Or Waterstone’s? But since inside photographs from those two shops would probably be rather dull, here’s a picture from an encounter Dane had with two nice, elderly gentlemen in New Bond Street. More pictures, also from Halloween and bonfire night here. Yesterday was Ripley Bonfire Night – one of the year’s biggest events in our neighbouring village where Dane goes to school. The entertainment starts with a procession of floats through the town. It’s not a very big town, so this year’s five floats were a record, I heard. 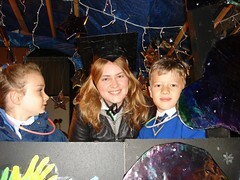 Dane’s class at school were in charge of the school float. The chosen theme this year was to celebrate that the school has become a Primary School, so it was something with launch and rockets… The parents – some more than others (find me in the latter category) – worked hard on creating a spectacular float. Unfortunately we didn’t win the float competition. The girl scouts (called Brownies in this country) won with a float on the theme of the Narnia Chronicles. The float's just finished - five hours before the procession. There were around 10.000 people in Ripley, so there were a lot of spectators along the way. After the procession the bonfire was lit and then there was an impressive fireworks display. After that we were tired and went home for some tea and cheese sandwiches – with sore feat after hours of standing. Dane with sweet teacher Mrs. G.
Today the weather has been really, really awful – although it’s cleared now and there’s the most spectacular sunset – so we’ve stayed in all day. First it was the usual – a couple of hours of Sunday Times. Dane has worked out the Catch up TV, so he spent the morning catching up on his favourite programmes on CBBC. Then we played Star Wars monopoly for I don’t know how many hours. Dane won – without cheating on anybody’s part. Now it’s time for me to get out of my chair and into my kitchen. The menu says Vietnamese prawn and cauliflower coconut curry. Hope it’ll turn out as nice as it sounds. Then it’ll be time for some serious TV watching – all the programmes we’ve recorded in the past week. 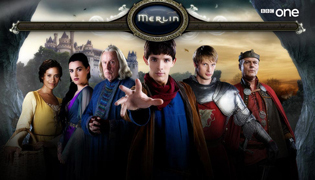 First and foremost Merlin, a wonderful series for the whole family on BBC. We enjoy every minute of it! Udgivet i august 18, 2008 Kategorier UncategorizedTags Uncategorized1 kommentar til Hello world!